Our goal is to connect people with the best local experts. We scored carpet cleaners on more than 25 variables across five categories, and analysed the results to give you a hand-picked list of the best carpet cleaners in Oxnard, CA. 805 Carpet Care offers professional carpet and floor care cleaning and other services to customers in Oxnard and the surrounding areas. The company’s professionals have the experience, knowledge, and equipment to remove all types of stains and dirt from carpeting in both residential and commercial properties. They use powerful steam extraction equipment that provides deep cleaning for all kinds of carpeting. The company also provides upholstery cleaning services for all types of furniture fabrics and can remove stains of all kinds without causing any damage to the fabric. They even achieve excellent cleaning results on leather furniture and materials. Other services include tile and grout cleaning, bed covers, pads, air duct cleaning, and more. Their team also provides water damage restoration, including water extraction. Camarillo Carpet Cleaning Services serves homes and businesses throughout the Camarillo area. They are committed to providing clients with comprehensive and friendly cleaning services designed to create healthier indoor environments. Their experienced technicians are certified by the Institute of Inspection, Cleaning, and Restoration Certifications, and they use only environmentally-friendly products certified as green by the Carpet and Rug Institute and safe for people and pets. 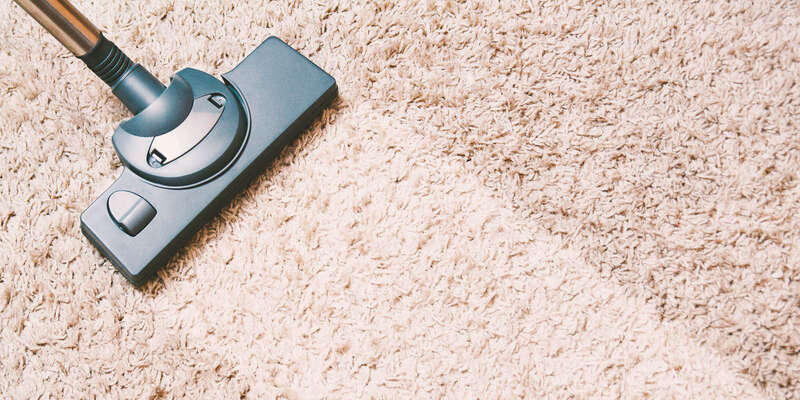 Camarillo Carpet Cleaning Services provides carpet cleaning that removes tough stains including those from pets, food, red wine, and oil and grease. They also clean Persian and area rugs, upholstery, and tile and grout. Discounts are available for veterans, senior citizens, and AAA members. Five Step Carpet Care is a carpet cleaning service for residential and commercial clients in the Ventura County area. A variety of services is available including tile cleaning, vinyl cleaning, home carpet care, odor elimination, stain removal, upholstery cleaning, and much more. A professional soil extractor will remove deep dirt, dust, and allergens. Also, cleaning solutions are applied to carpet fibers, and special attention is given to problem areas. Web promotions are available on their website for review. Customers should check back regularly for the most up to date coupons and discounts. Also, all green cleaning services are available including natural-biodegradable and fast drying solutions. The recipient of an A+ Rating with the Better Business Bureau, Moorpark Carpet Cleaning is a professional cleaning company in Moorpark, California that serves clients in the surrounding metropolitan area. The company is available every day of the week and offers a free estimate on its services to prospective clients. Backed by a 30-day guarantee, services provided by Moorpark Carpet Cleaning include carpet and upholstery cleaning, tile and grout cleaning, area rug and drapery cleaning, pet odor and stain removal, and more. Moorpark Carpet Cleaning has been in business since its founding in 1984 and is certified by the Institute of Inspection, Cleaning, and Restoration Certification. Newbury Park Carpet Cleaning provides quality, professional carpet, tile and grout, and upholstery cleaning to the city of Newbury Park and the surrounding areas. Newbury Park Carpet Cleaning employs highly-trained professionals to ensure the best possible results. They will also custom tailor treatments for each customer's individual needs. For the health and safety of your family and pets, they also offer complete sanitation of your carpets to ensure that bugs, mites, and other pests are removed. They will also carefully and safely move and protect any furniture to achieve the best possible cleaning results. This same exceptional service is used to thoroughly clean tile, grout, and upholstery as well. Oxnard Carpet Cleaning offers eco-friendly cleaning services throughout the Ventura County area. A list of zip codes served is available on the company's website. Excellent customer service at the lowest possible rate is a priority with Oxnard Carpet Cleaning, with services performed by professionally trained technicians who arrive promptly at the scheduled appointment time. Drying time for carpets and rugs is kept to a minimum with the efficient use of water and cleaning solutions. Free estimates are available by telephone seven days a week. In addition to professional carpet and spot cleaning, the company offers cleaning services for tile and grout, air ducts, and upholstery. For over thirty years Perma-Guard has been providing high-quality cleaning services to California residents, relying on the newest technologies to ensure that clients receive the best possible service. In addition to their cleaning services, Perma-Guard has developed some of the most advanced stain-resistant chemical technology to repel most common household stains. The company’s methods have been approved and tested by the American Association of Textile Chemists. From upholstery to area rugs to draperies to carpet to tile and grout, Perma-Guard has developed the most efficient and effective cleaning treatment to remove stains and restore the look and feel of the original surface. Past clients have lauded the company for their stain-resistant technology, noting that the Perma-Guard products work incredibly well in preventing stains and discoloration on furniture and carpets. Platinum Floor Care serves the areas of Camarillo and Oxnard. They strive to provide 100% customer satisfaction by ensuring quality service delivered with professionalism and courtesy at affordable rates with no surprises and hidden charges. A fully-licensed-and-insured company, their trained and TMT-certified technicians are dedicated to pursuing ongoing education while using state-of-the-art equipment. Platinum Floor Care provides floor care solutions for homes and businesses that utilize pre-treatment, pressure, heat, and vacuum technology to remove all grime and bacteria. All cleaning methods used are EPA-approved and environmentally-friendly, and they restore floors to a like-new appearance. Free and non-obligation demonstrations are available, and all work is guaranteed. Ready Restoration Company is a cleaning service based in Ventura County serving Oxnard, Ventura, Camarillo, Santa Paula, Fillmore, Thousand Oaks, Newbury Park, Westlake, Moorpark, Santa Barbara, and Ojai. They primarily specialize in flood loss prevention, structural drying, water damage restoration, as well as water, fire, and mold remediation. They provide local and personalized service for any water damage situation in residential or commercial locations – a benefit for a property management company, business or insurer. They are IICRC and EPA Lead certified and licensed contractors within the state. They boast a 24-7, 30-minute emergency response in Ventura County and offer free consultations and inspections. Steamworks is a professional cleaning and restoration company headquartered in Oxnard, California that serves clients in the surrounding metropolitan area of Ventura County, Santa Barbara County, and Northern Los Angeles. An accredited business with the Better Business Bureau, Steamworks is Screened and Approved by HomeAdvisor. Services provided by the company include pressure washing, window cleaning, carpet and upholstery cleaning, water damage restoration, odor treatment and removal, tile and grout cleaning, air duct cleaning, area rug cleaning, complete corporate janitorial services, regular cleaning maintenance programs, and more. The company accepts both residential and commercial clients and can be contacted by phone or email.